We offer small animal boarding, grooming, bathing, and doggie day care. Grooming is offered Monday through Friday. Doggie day care is available Monday through Friday (except for around holidays). We offer luxurious stays, loving care, and lots of play. Paws Inn also offers pet care at All Animal Hospital during your pets stay. Services include updated shots during their stay or anything your pet may need. If you have scheduled any surgeries for your pets during their stay, please notify staff upon their arrival. Staff at Paws Inn will gladly take care of these needs for you with a added expense. If for any reason pets become ill during stay, they will be seen at All Animal Hospital for treatment. Staff at Paws Inn will try to notify you immediately. Please note that we are now requiring the Canine Influenza H3N2 vaccine for all boarding and doggie daycare dogs. You may get this vaccine at All Animal Hospital or your local veterinary office. Monday-Friday 7:30 a.m. - 5:30 p.m.
Sunday 5:00 p.m. - 6:00 p.m. Pick Up Only! Tour hours as follow: Monday - Friday 10:00 a.m. to 11:45 a.m. and 1:00 p.m. to 3:00 p.m.
Pets that haven't been picked up by closing will have to stay an extra night . Holidays are Subject To Change . 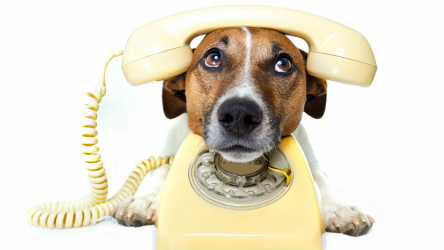 Staff will notify you of any changes during your pets stay etc. hours , or closed days . If you have tried reaching us and no one is picking up, please leave a message and a staff member will return your call a.s.a.p. If you have left a message, please leave a current number so we can return your call. Paws Inn now has a Facebook page, please come check us out there.